A year ago, when I went to Lardo, I discovered the Banh Mi. I began to notice that many places offered them and each had their own varieties or even specialties. 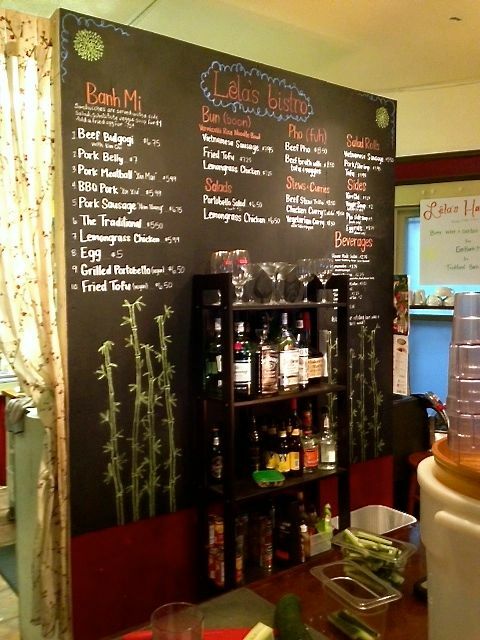 When I asked you, my readers, where I should go for my next Banh Mi, Lela’s Bistro was on everyone’s mind. Since it came so well recommended I knew I needed to try it. I love that Lela’s Bistro is located in an older house off of NW 23rd right across from the new St. Jack location. You walk up the wooden steps, onto the large porch and past the lounge chairs and on into Lela’s Bistro. At this casual establishment you will wander right up to the counter and place your order. I had planned ahead and knew that there would be more than 1 option of a banh mi, unlike when I went to Double Dragon and was surprised by all the options. Now I was no longer a banh mi rookie, I knew kind of what I wanted. 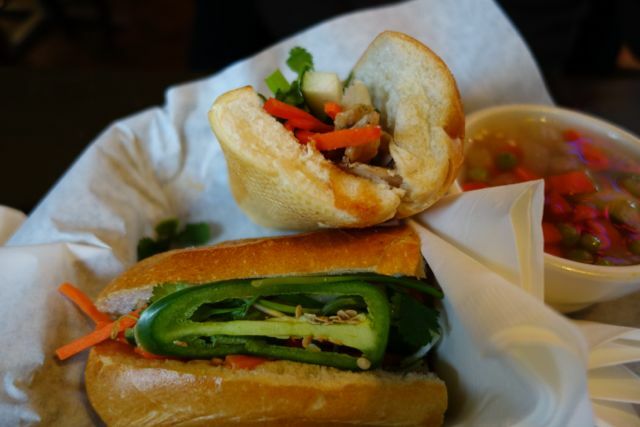 I love pork and meatball banh mi’s but I also ask what each place offers as their specialty. Here, they were quick to say the Pork Belly was the best. I am not afraid of pork belly, so that was an easy decision for me. I came with a friend who ordered the Lemongrass Chicken. Each one came with the option of soup or salad and you could also add a fried egg for 75¢. You know how much I love eggs! 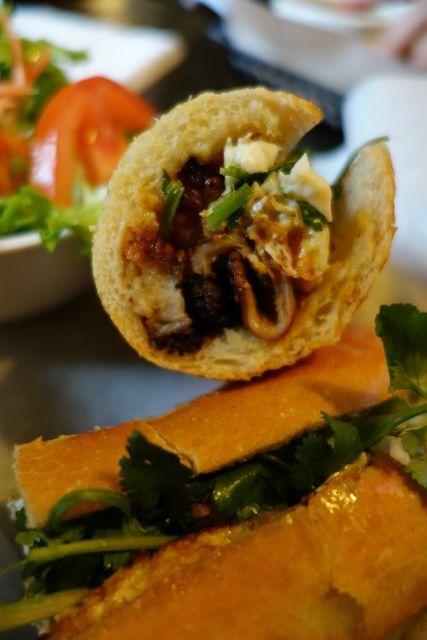 Lela’s does a great banh mi. Mine was loaded with flavor and the added egg was a perfect addition. The portions were not huge, which is great for a lunch option. The best part, and we both commented on this, is that the bread was not heavy, it was light and airy and it didn’t overpower the meat. The salad was nondescript and the soup was loaded with veggies and had a very flavorful broth. I should also note that there were a ton of people ordering the Pho. It was a cold and rainy day, so it was the perfect dish for the day. Atmosphere is very cozy in the old house where you can sit on padded benches with pillows are at tables. Pricing was $7 for my banh mi and it was the most expensive one on the menu. Service was great. They were helpful and sweet. The offer house made sodas, beer, soda, wine and a few cocktails.